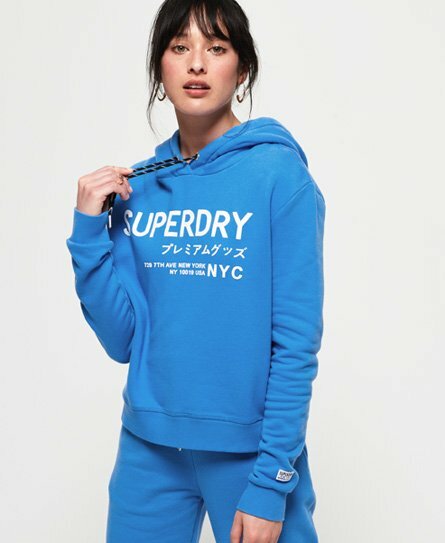 Superdry women's Elissa cropped hoodie. This overhead cropped hoodie features a draw string adjustable hood, textured logo designs on the chest and back and a ribbed hem and cuffs. Completed with a small Superdry logo badge on one sleeve.